Choosing a name for your baby? A decision which you shouldn’t take lightly. Your baby will carry it for life. But what if you expect to have your child in a foreign country? In that case, it’s even more challenging, and you may face some real baby name challenge before you pick the perfect name. Add the fact that you and your significant other are from two different countries as well, both other than the country you live in, and the task of naming your baby becomes ever so interesting. Or almost impossible at times, should I say. My other half left the choice of our baby’s name mainly to me, and I was quite happy to do that. He wouldn’t mind giving our daughter a Slovakian or Albanian name (our home countries), as long as it wasn’t too weird, but I wanted something that would work in both countries as well as in the UK. Every parent will have different preferences for their baby’s name and here’s our list of criteria that were important when choosing the name for our daughter. I hope I can provide some inspiration. I started to think about baby names way before I got even pregnant. I had few that I liked, but when the reality of becoming a mum hit me, it became apparent very soon that the decision won’t be that easy. I mean, it’s a tremendous responsibility to name your baby, right? Because we live abroad, I wanted a name that would be easily recognisable internationally. Thinking about my daughter’s future, I didn’t want something completely different and unusual, but I also didn’t want a name that every second girl in her year at school would have. There are many beautiful names we have in Slovakia also used in the UK and all around the world. I considered Daniela, Natalia or Alexandra. Well, I also wanted a unique name, one that wasn’t used by any other family member, and if I could avoid it, I would rather choose a different name. We wanted a name that would be easily pronounced in Slovakia and Albania, as well as in England. So that the grandparents don’t have to look into their notes every time they want to call their granddaughter by her name. That meant that we had to eliminate names such as Eliza, Lacey or Jasmine from the list mainly because of the difficult pronunciation in our countries. In Slovakia, we celebrate a Nameday. 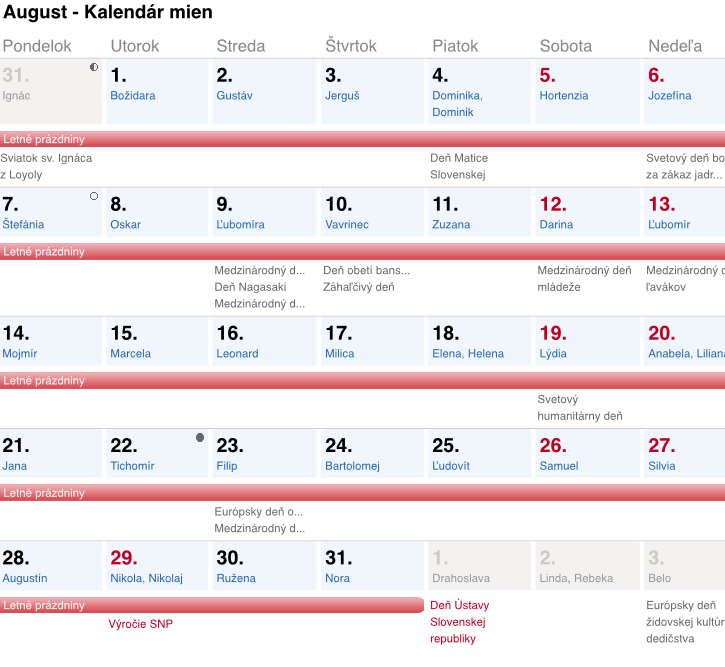 If you ever got a chance to look at a Slovakian calendar, you would see different names assigned to every single day of the year. See the picture below. Let’s take my name, Zuzana, as an example. My name in the calendar falls on 11th August and on that day all Zuzanas celebrate their Nameday. 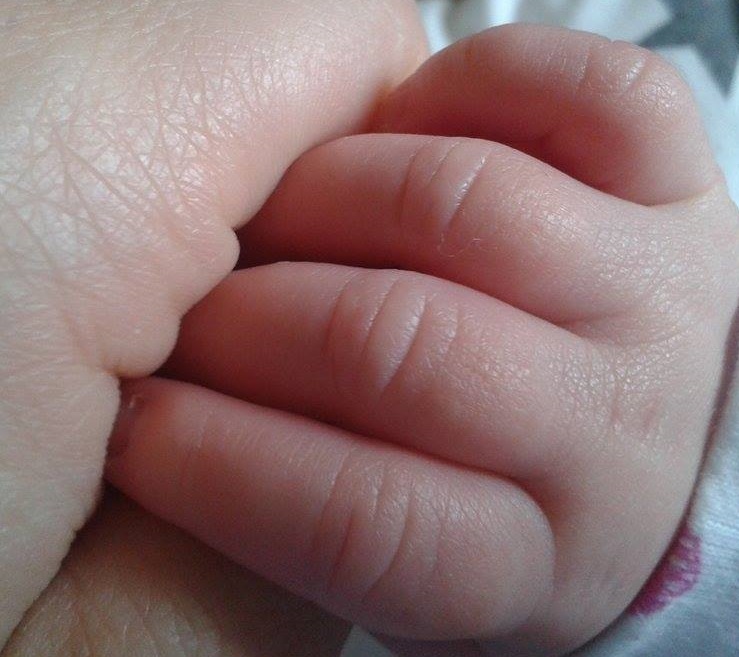 I wanted my daughter to have her Nameday, even though here in the UK or in Albania, people don’t celebrate Namedays. I didn’t want her to miss out on this tradition, especially when the rest of the family celebrate their Namedays too. Even though her name isn’t in the primary calendar, there are other alternative calendars with more names available. I just Googled my daughter’s name plus Nameday in my language, and that’s how I found out the date of her Nameday. I wouldn’t choose my daughter’s name if she had my last name. It just wouldn’t sound right together. You need to consider how will the baby’s first name match her surname. If your baby will have a typical Slovakian surname such as Malinova, I wouldn’t go for names like Jessica, Naomi or Tiffany. You see, these would all be unique first names in Slovakia, but in this case, I think the more traditional Slovakian name would be more appropriate. You don’t want to cause your child a distress when other kids start picking on their name in the future. Here’s another dilemma. Middle names in the UK are very common unlike in Slovakia and Albania. Should we follow a tradition of our countries or give our baby’s name a UK influence? As I found out, middle names in the UK often have some meanings to them. For instance, people choose them after some family members, like parents or grandparents. In the end, we decided, or I think it’s fair to say I decided, to give our daughter a middle name too. It took some effort to convince my other half. He didn’t see any point of giving her a second name but now he really loves her full name. Although it’s not after any family member, I just really liked the combination of the two names. So, that was my reason for giving a middle name, not just for the sake of having a middle name. When choosing a baby name, it’s probably a good idea to consider any nicknames that might be associated with the name. Here’s the thing. Different countries will use a different nickname for the same name. For example, Natalia, in Slovakia a nickname would be Natalka, in the UK it would be something like Nat, Nattie or Tallie. While I like the Slovakian nickname, I’m not so keen on the UK version. 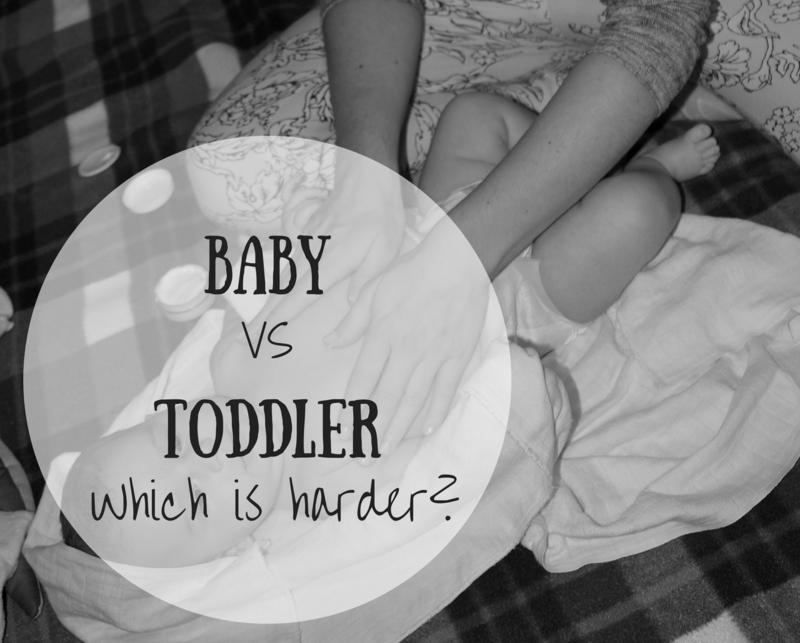 Another thing to consider when you have your baby abroad. Even if you want to call your child by her full name, you can’t influence too much the use of nicknames by other people when she is older. Some of the names I suggested to my partner were really old-fashioned in Albania, others were very unusual or just ‘too weird’ as he put it. There were some heated debates about the names, especially when he seemed to dismiss the names I was suggesting without giving me any of his suggestions. Some names that were quite popular in the UK and sounded beautiful weren’t considered to be very nice in Slovakia. Back to square one. I know, it shouldn’t matter to us if our families don’t find the name very attractive. But the more I thought about the negative comments, the more I started to dislike the name myself. We went through our list of names countless times, looking through baby names lists online, every time struggling to find one that would be perfect in all three countries. I honestly thought, that we will be one of the parents, who still don’t have a name for a baby when she’s born. In the end, we realised that we cannot please everyone. I completely understand why some parents don’t reveal their baby’s name till the birth. We picked the name less than two weeks before our daughter was born and even though, my family wasn’t overexcited about our choice at first, they quickly got used to it. The name we chose is of Spanish origin and was on our list for months. We both started to like the name right towards the end of my pregnancy, and I couldn’t be happier about our choice. Do you have a multicultural baby or are expecting one? What were your criteria for choosing a name? Get in touch. I would love to hear your story. This article caught my eye – I have a lot of friends who are from quite different cultures to each other and I know they have faced similar dilemmas when trying to think of baby names! I have found in most cases, they have compromised and given the baby a first name from one culture and a middle name from the other. There is always the argument of how unusual to go too. I have a friend with the surname Jones (which is one of the most common in the UK) and she was determined to give her children unusual first names because of that! It’s all about finding the right balance and compromise if there are more cultures involved. Unusual is good as long as it’s not too extreme, in my opinion.